For nearly two decades, Dr. Heinen has been known for his expertise in shoulder and knee complex arthroscopy and joint replacement surgery. Now, he leads his Arcadia and Riverside team at the California Sports and Cartilage Institute with an emphasis to provide personalized, specialty Orthopaedic care. Fellowship trained in Sports Medicine and double Board Certified in both Orthopaedic Surgery and Orthopaedic Sports Medicine, Dr. Heinen combines a scientific, literature based approach with common sense care. 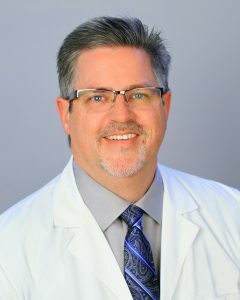 Honored as an Associate Master Instructor in shoulder arthroscopy teaching other orthopaedic surgeons nationally, Dr. Heinen has served for years as the “go to” shoulder and knee doctor of the Inland Empire and now also in Arcadia. Having graduated top of his class from the University of California, Berkeley, Dr. Heinen pursued his medical degree at the Yale University School of Medicine in New Haven, Connecticut. He then received his Orthopaedic training at the University of Southern California Orthopaedic Surgery program. Fellowship trained in Sports Medicine and Arthroscopy at SCOI, Dr. Heinen furthered his expertise in extremity care. He has been team doctor for multiple Division I, II and NAIA Universities for well over a decade. He continues to care for athletes at the University of California, Riverside; California Baptist University; California State University San Bernardino and La Sierra University. He also volunteers his time as team doctor of Loyola High School of Los Angeles, and as consultant for several other division I high school teams locally. Academically inclined, Dr. Heinen is published in Orthopaedic peer reviewed scientific journals and also continues to actively teach others. Dr. Heinen, his wife, Judy, and his 3 children, reside where he was raised, in the San Gabriel Valley, while still maintaining the valuable friendships developed in the Inland Empire. General/Orthopaedic Surgery, Los Angeles County/University of Southern California Medical Center, Los Angeles California, 1993-1994. Doctor of Medicine Degree. Yale University School of Medicine. New Haven, Connecticut. 1989-1993. Community Orthopaedics, A Division of Community Medical Group of Riverside, Inc., Riverside, California 1999 to 2013. Associate Master Instructor – Shoulder Arthroscopy. Arthroscopy Association of North America (AANA). Medical Director / Instructor — California Baptist University Athletic Training Education Program. Lecturer– Practical Applications in Sports Medicine. SPORT Foundation. Ankle Arthroscopy Instructor – American Foot and Ankle Society. University of California, Riverside. Division I. 1999 – present. La Sierra University, Riverside, California. 2008-present. Lake Elsinore Storm. Minor League Baseball. Angels Affiliate 2000-2002. Loyola High School. Los Angeles, California. 2008 – present. Ferkel, R.D., Tyorkin, M., Applegate, G.R., Heinen, G.T. MRI evaluation of anterolateral soft tissue impingement of the ankle. Foot Ankle International 2010 Aug;31(8):655-61. Heinen GT, Applegate GA, Ferkel, RD. MRI Evaluation of Anterolateral Ankle Impingement; Presentation at American Foot and Ankle Society Specialty Day. 2000. Heinen, GT, Snyder, SJ. Early Results after Arthroscopic Repair of Very Large and Massive Rotator Cuff Tears. Presentation 1999. Crisco, Jokl, Heinen, Connell, Panjabi. A Muscle Contusion Injury Model: Biomechanics, Physiology, and Histology. Cabaud Award Winner. American Journal of Sports Medicine. Vol. 22:5, 1994. 702-710. Heinen, GT. The Effect of Oxidation on the Dielectric Constant of Erythrocyte Membranes. Honors Thesis and Slide Presentation, University of California, Berkeley, CA. May 1989. Herman Epstein Memorial Award for Clinical Excellence (Highest Award). Orthopaedic Surgery Residency Los Angeles County/University of Southern California, Los Angeles, CA June 1998. Orthopaedic Surgery Administrative Chief Resident. Los Angeles County/University of Southern California, Los Angeles, CA 1997-1998. Chief Resident, Orthopaedic Surgery. Los Angeles County/University of Southern California, Los Angeles, CA 1997-1998. Chief Resident, Orthopaedic Trauma (Elevated 4th year). Los Angeles County/University of Southern California, Los Angeles, CA March 1997. Cabaud Award (Highest Science Award). American Journal of Sports Medicine, 1993. Yale University School of Medicine Research Fellowship. New Haven, Connecticut, Nov. 1991. Chaikoff Research Award. University of California, Berkeley, CA 1989. Department Citation (Highest Award). Department of Physiology, University of California, Berkeley, CA 1989. High Distinction in General Scholarship. College of Letters and Science. University of California, Berkeley, CA 1989. Highest Honors. Department of Physiology/Anatomy. University of California, Berkeley, CA 1989. 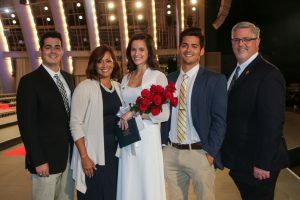 Phi Beta Kappa. University of California, Berkeley, CA 1987. Dean’s List. University of California, Berkeley, CA 1986-1989.